8 inch Wendy is bursting with birthday cheer! Birthday Joy Wendy is made of vinyl and fully-articulated with jointing at her neck, shoulders, elbows, waist, hips, and knees. 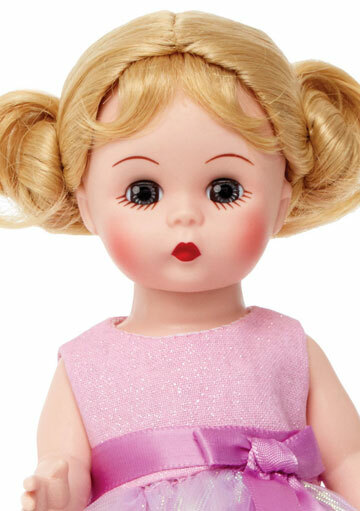 She is light skin toned with rosy cheeks and blue eyes framed by a blonde wig. 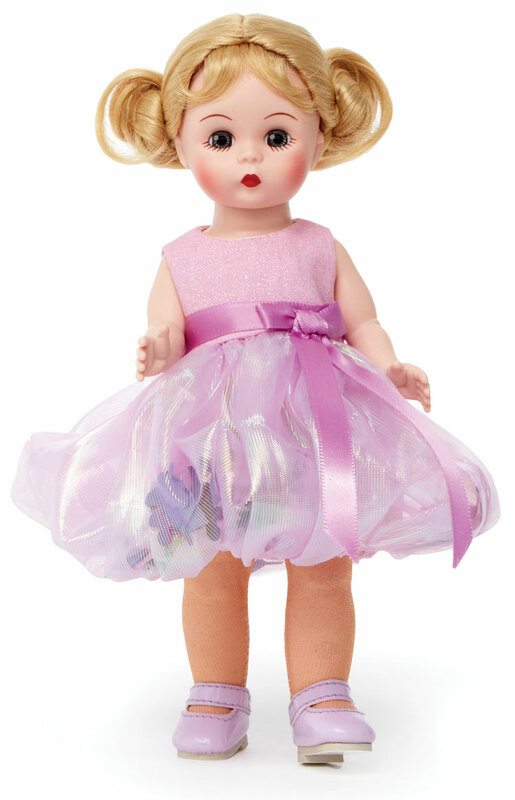 She wears the cutest pink dress with a fabulous iridescent bubble skirt and pink satin ribbon encircles her waist. A little sprinkle of party confetti inside of her bubble skirt adds a fun, festive touch of detail. Little purple mary jane shoes complete her sweet look. Birthday Joy Blond 75110 is part of Madame Alexander's Celebrations Collection. Suitable for ages 14 and up.